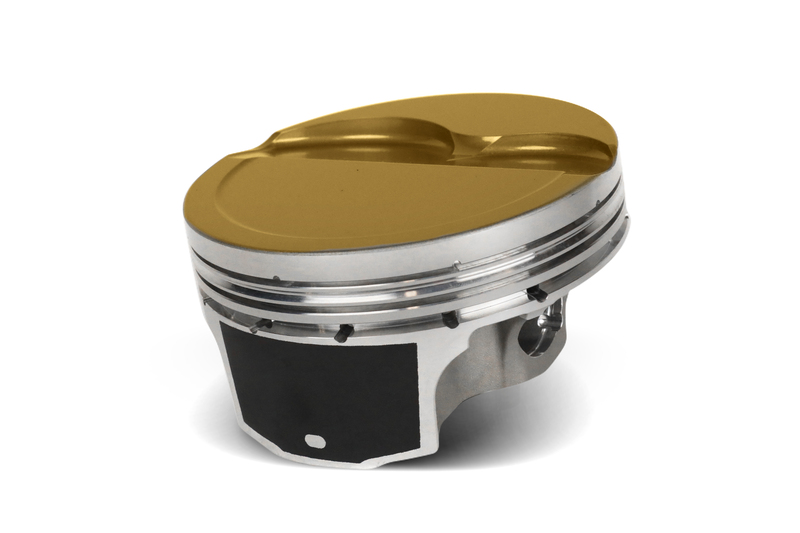 The Ultra series piston line is ready for big power and is one of the most feature-dense and technology rich piston lines available. 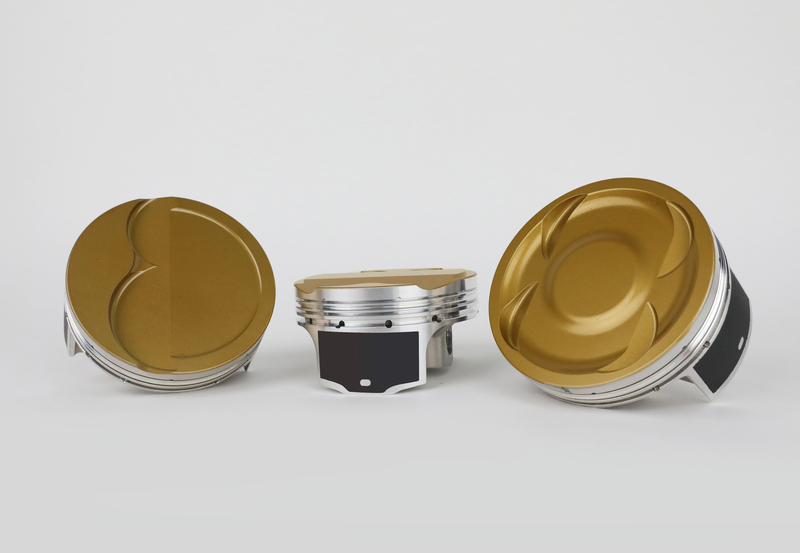 Need pistons for your sport compact engine? Click HERE! JE's revolutionary Perfect Skirt coating is one of the many technologically advanced aspects of the Ultra Series. It protects the piston skirts, reduces friction, while eliminating cold-start piston slap and false knock on computer-controlled engines. Thicker, premium-material wrist pins are another, strength-boosting feature of the Ultra Series line. Combined with unique Grain Flow Optimized forging technology, the Ultra Series is ready for huge power. 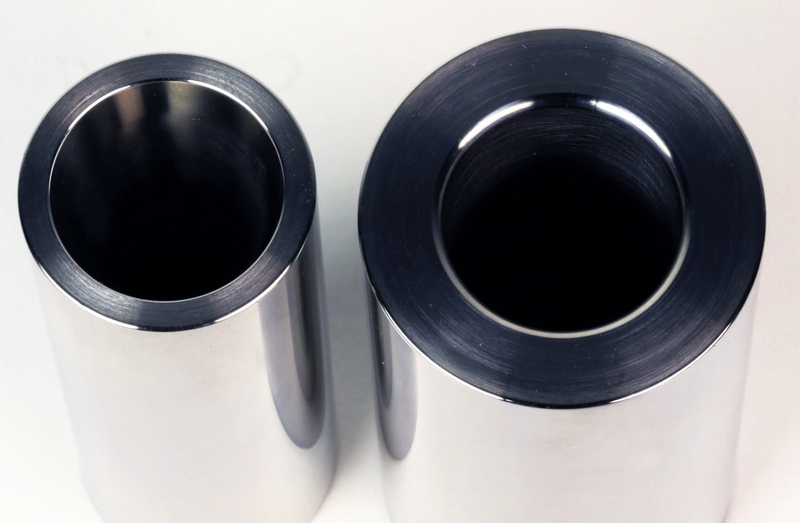 Dedicated forgings, boosted 2618 aluminum material in the crown and pin bosses, thickened ring lands, and a premium wrist pin help ensure strength. Like wood, metal has a grain to it, and you want the forces applied to that material to be aligned with the grain rather than against it. 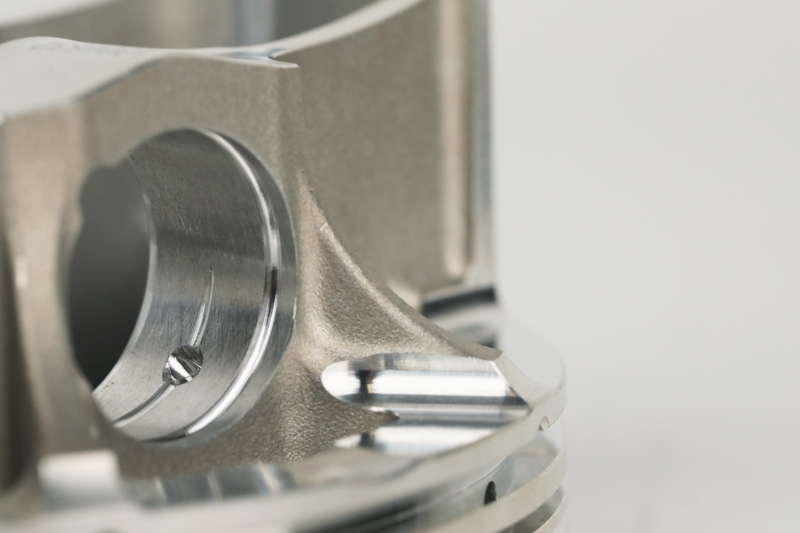 Using a proprietary forging process called Aligned Grain-Flow Technology, JE engineers are now able to precisely control metal grain direction around key structural elements of the piston. This process yields significant strength improvements, and an exceptionally robust part overall. 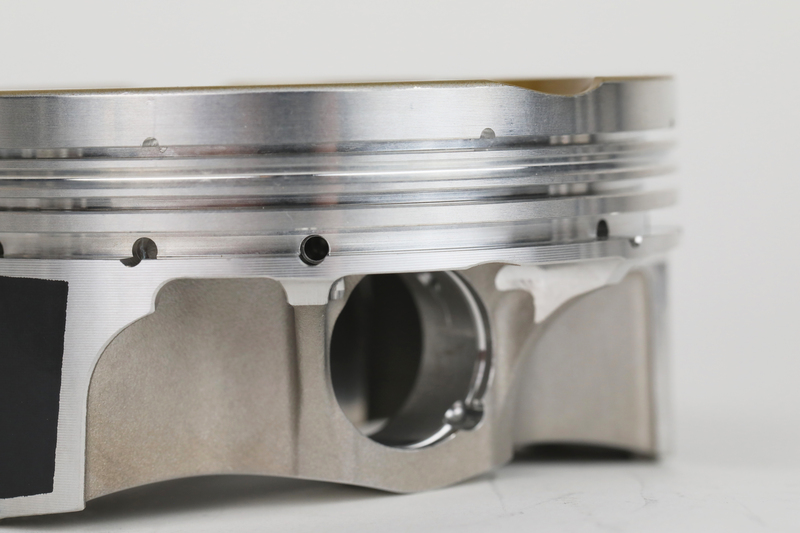 Premium carbon steel piston rings and lateral gas ports help Ultra Series pistons seal big boost for maximum power output. Building a thumping' Domestic engine? Click HERE! 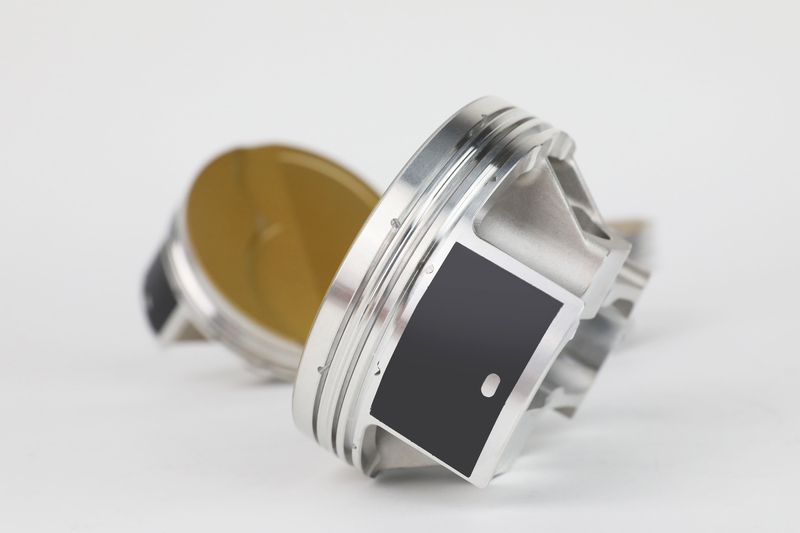 All Ultra Series pistons will come standard with ceramic crown coating to help reject combustion heat for durability and better exhaust scavenging characteristics. And as many racers can attest, parts availability can mean the difference between a podium and a DNF come race day. Restoring a Vintage Ferrari? Our new Piston Line Is Here to Help!